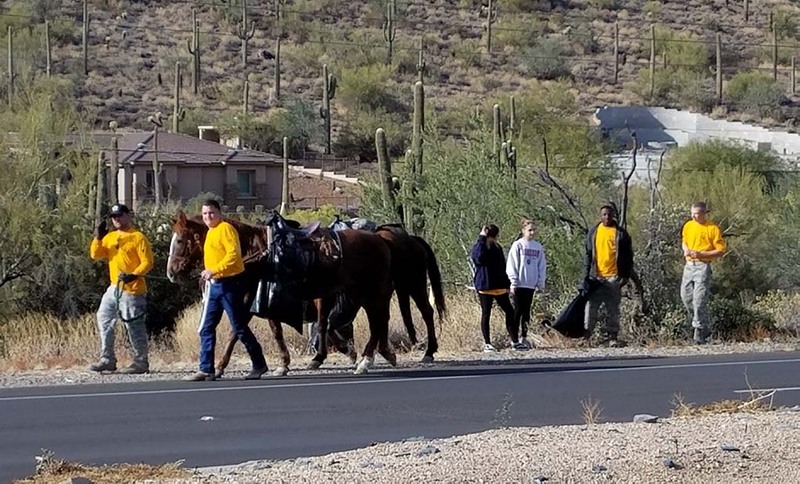 Right before Christmas, Chris Potter (second from left), a couple of horses and several volunteers were seen cleaning up trash along Cave Creek Road and Carefree Highway. Potter has performed this cleanup routine several times over the years just prior to the holidays as his way of giving back to the community he loves. In organizing his Cave Creek version of adopt-a-highway, Potter brings the horses and finds the volunteers. He says he plans to do this quarterly in the future to help keep the town looking great all year long.